Greetings from the home of the AirFlow Breeze! We contacted you via mail in the spring to introduce you to our product line. As the hot summer has progressed, we are sure that some of your clients are seeking improved air flow in their homes. Our AirFlow Breeze register booster is the perfect solution for many problem rooms. Stop by our web home and check out our products today. If you need additional information or another copy of the quote letter we sent, please e:mail info@aftproducts.com, or leave us a message at 800-458-5540. Bernie Pierce, President AirFlow Technology, Inc.
We're now offering a new accessory for your AirFlow Breeze. Whether you have a ceiling, wall or floor application, sometimes the original 6-foot cord just isn't long enough. We now offer a 16-foot power cord. Buy yours today! The latest addition to our webstore - the Solar Attic Fan! Attic heat can slowly destroy your home by shortening the life of your roof, trapping moisture and allowing bacteria and mold to grow. 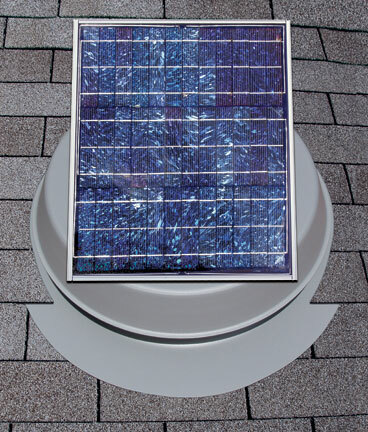 The Natural Light Solar Attic Fan is an environmentally friendly solution that can protect your home and save you money! Complete details can be seen here.